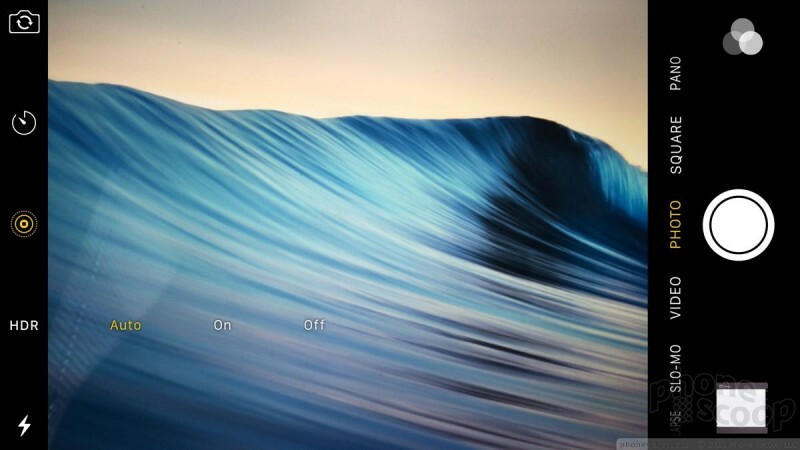 Apple's lock screen has evolved significantly over the years. 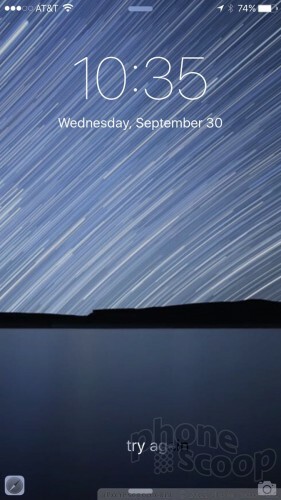 With iOS 9 aboard the iPhone 6s Plus, the lock screen can offer as much or as little content as you want. To start, the 6s Plus has a brand new Touch ID fingerprint sensor. This is the new gold standard in fingerprint sensors. Once you train a few fingerprints, the 6s Plus will unlock your phone faster than you can even think to peck in your PIN. Seriously, there is no faster way to unlock the 6s Plus. If you're not into biometrics, you can still protect your phone with a 4- or 6-digit PIN, or a more complicated password. It's up to you. At its core, the lock screen includes the clock in big numbers at the top of the screen, as well as shortcuts to the browser and camera. You may elect to enable Control Center (swipe up from the bottom to access basic controls) on the lock screen or not. The notification shade is always available from the lock screen (maybe a security oversight? 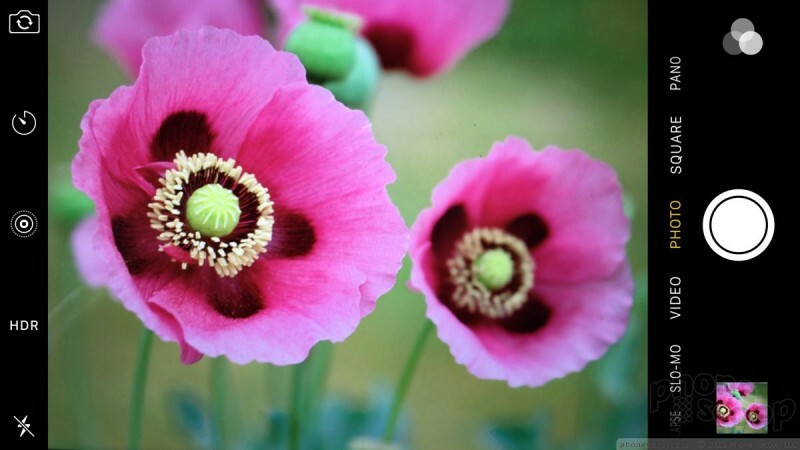 ), and it can contain tons of information. Almost every app you install these days asks whether or not you'll accept notifications. Apps you've granted permission to send notifications will populate the shade with whatever content it is they're pushing, be that incoming email alerts, app updates, or breaking news/weather reports. You may choose to let apps wake your screen with the latest alert, or leave your screen dark to keep the content private. The one thing you can't do with the notification shade is dismiss all notifications at once. Instead, you're limited to dismissing the notifications for each individual app. In other words, let's say you get three email notifications and nothing else. You can dismiss all three emails notifications at once. If you get one email, one text message, and one missed call, each of these has to be dismissed individually. It can be a pain if you allow a ton of apps to send you notifications. The notification shade also offers the Today tab, which is something I've come to really like since it debuted in iOS 7. The Today tab supports widgets, which can include your calendar, weather, news, traffic, reminders, stocks, and much more. It you're checking your notifications, just swipe over to see the latest information — all without unlocking the phone. 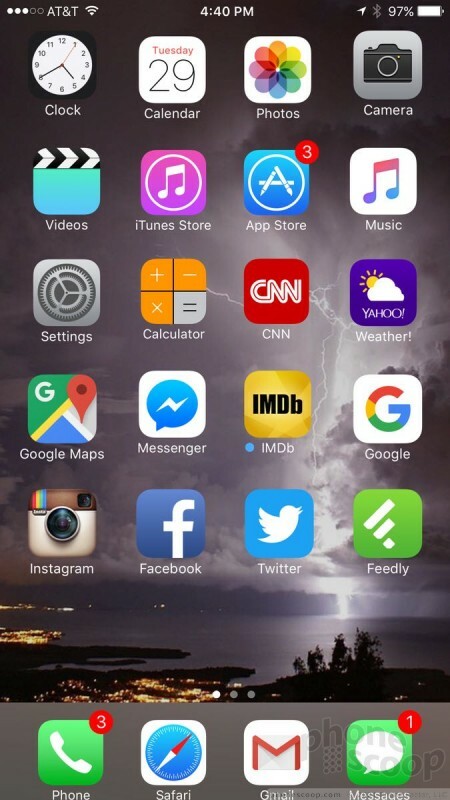 iPhone owners can place up to 24 apps on each home screen, or many more in folders. There are no widgets here, and apps still snap up and to the left into a self-forming grid. 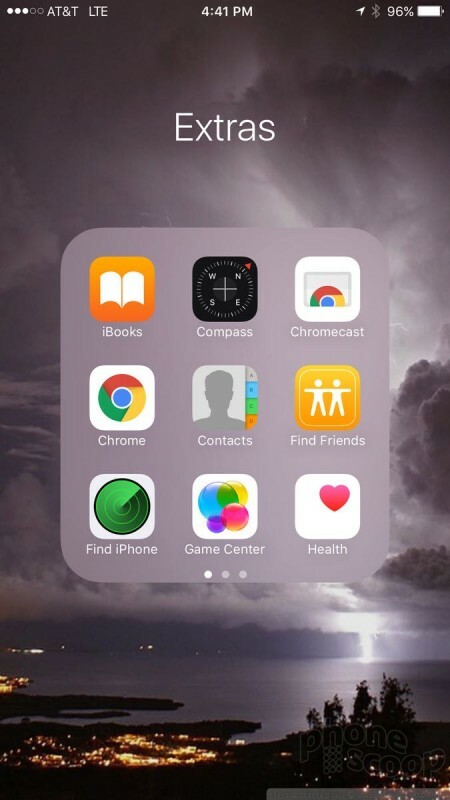 Four apps of your choice are always accessible from the dock at the bottom of the screen. The settings tools grow in number each year, but their organization and usability is about the same as always. It's a cinch to adjust wallpapers, ringtones, alerts, and other custom behaviors. 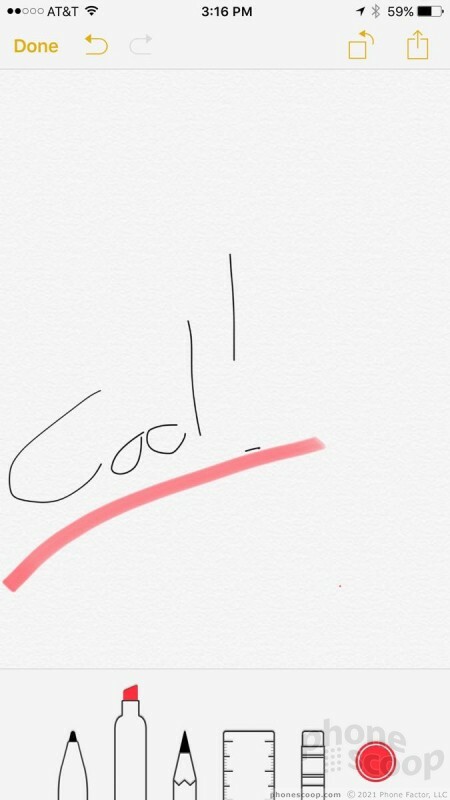 iOS allows you to tweak font and icon sizes, too. The iPhone 6s Plus has Apple's new A9 processor with M9 motion co-processor. It also has twice as much RAM as the iPhone 6 Plus at 2GB. The difference in performance is palpable; the 6s Plus absolutely screams. It is a fast, fast phone. 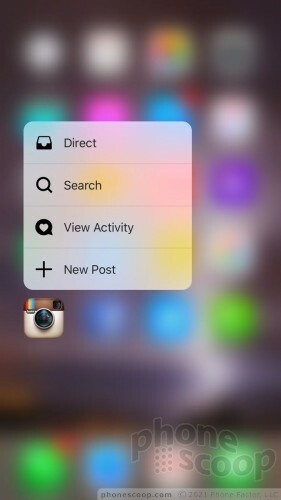 3D Touch is one of the few major additions to the iPhone this year. It's not available to older iPhones; it relies on a new hardware component, so it's exclusive to the iPhone 6s and 6s Plus. 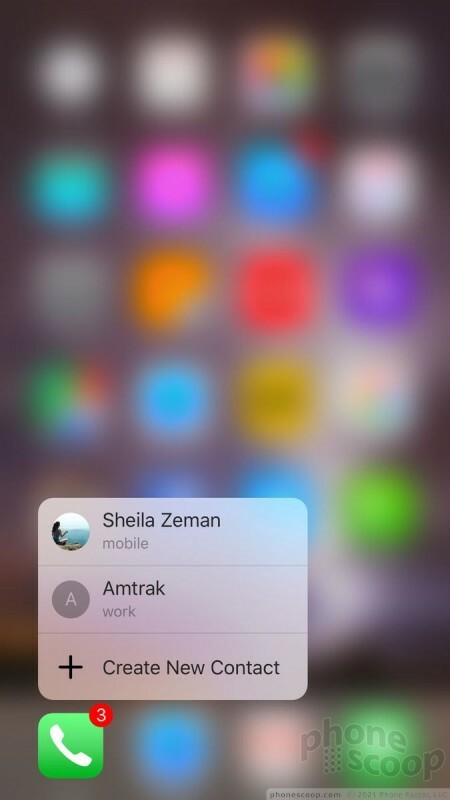 3D Touch is a game-changer for mobile devices and their operating systems. Down the road, I imagine that all devices will have something akin to 3D Touch. 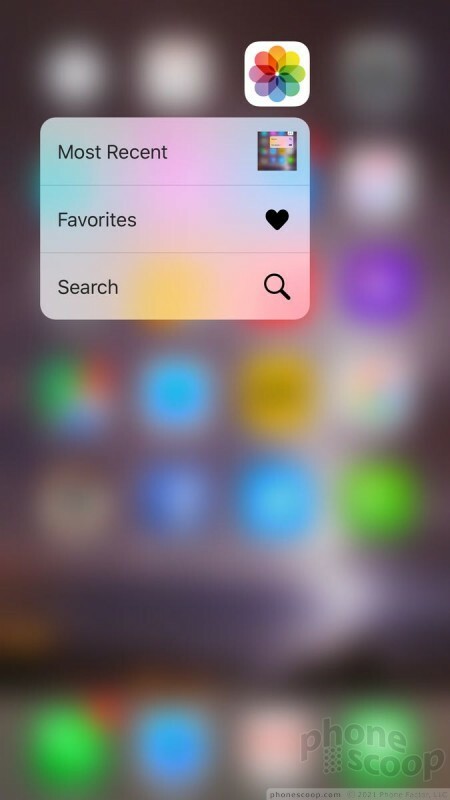 With 3D Touch, Apple was able to improve the display such that it recognizes how hard you press the screen. The iPhone 6s Plus has an extra layer underneath the screen to measure the tiniest changes in the pressure on the glass. The 6s Plus also includes the Taptic Engine (a fine-tuned vibrating motor) to provide feedback when you use 3D Touch. The thicker screen module and Taptic Engine are the culprits behind the 6s Plus's weight and thickness increases. When I first started using 3D Touch, I was surprised by how much force is needed to make it function properly. A casual brush of the finger won't do it; you actually have to press the screen with a fair amount of pressure. When you do, two things happen: first, an action menu that corresponds to the app you pressed pops up, and second, the Taptic Engine provides a super-quick, micro-burst of vibration. 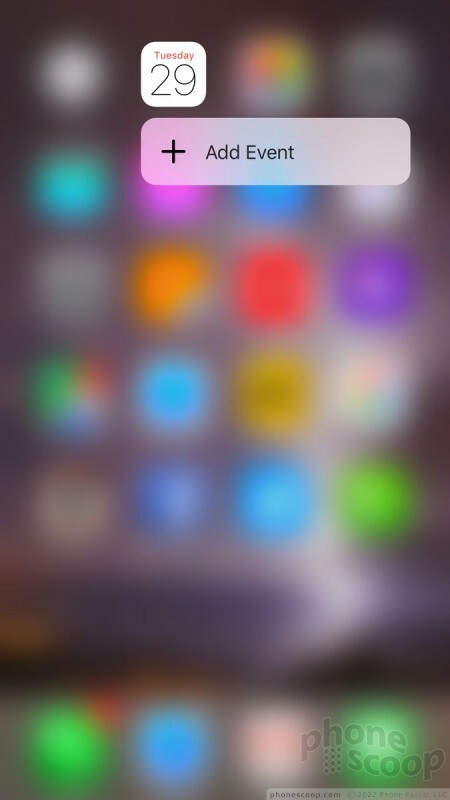 Apps that don't yet support 3D Touch provide two vibration bursts. 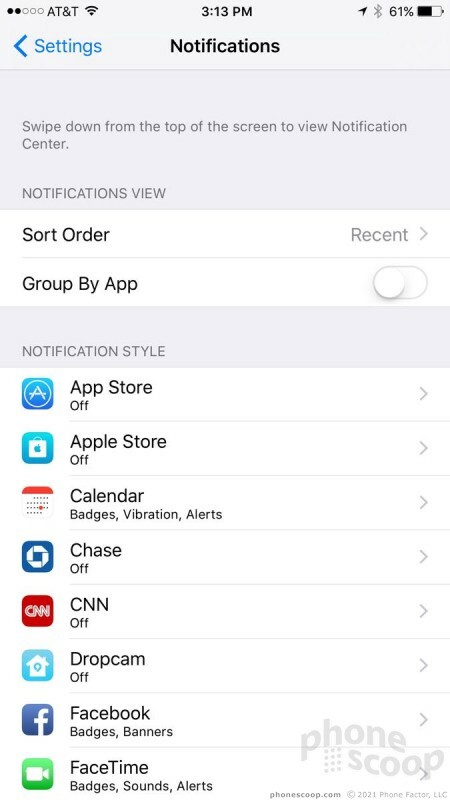 The actions available in these secondary menus varies by app. In Twitter, for example, you can start a new direct message, new Tweet, or perform a search. 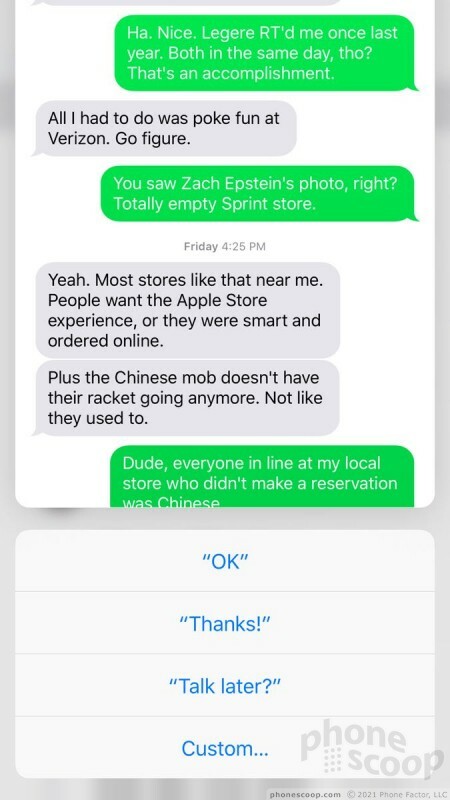 iMessage lets you start a brand new message, or respond to one of the last three people who messaged you. 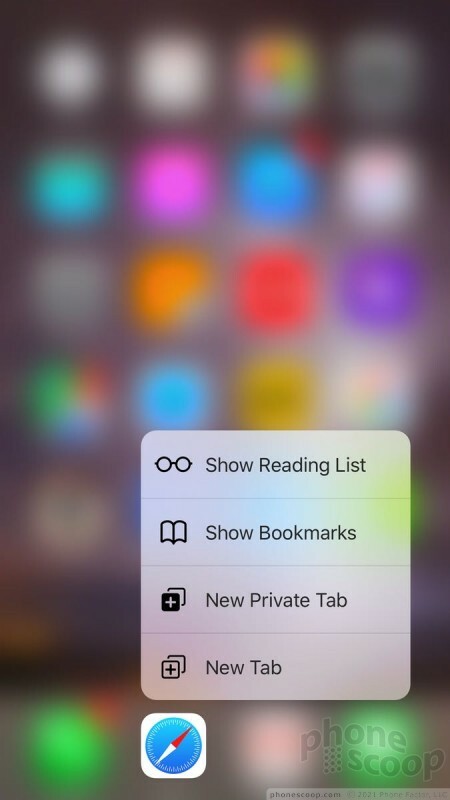 Safari will let you see the reading list or bookmarks, or open a new tab or new private tab. The Calendar lets you add a new appointment, while the clock lets you set a new alarm. These may not seem like game-changing activities, but they are. For example, if I wanted to write a new direct message in Twitter before 3D Touch, I had to open the app, press the private messages button, and then tap the Compose Message button. 3D Touch chopped the number of screen presses from three to one. Multiply this across all the little interactions you have with apps throughout the day and you're going to start saving real time. It's a lot more fun inside certain apps. 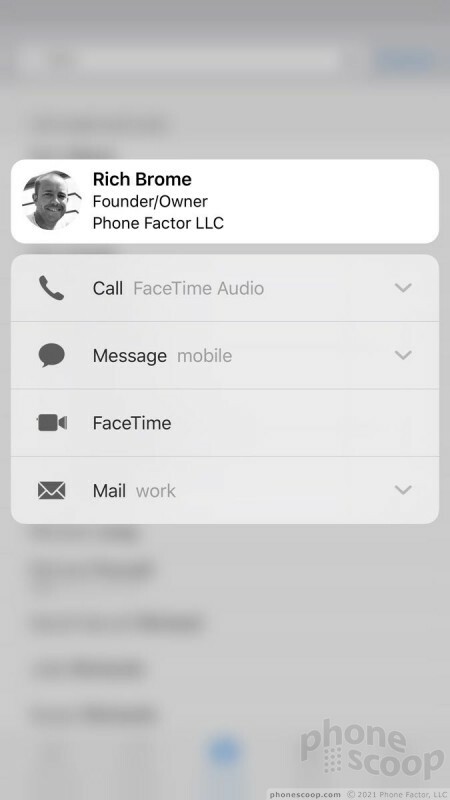 For example, in the iMessage app, a 3D Touch of a message will pop open the conversations. 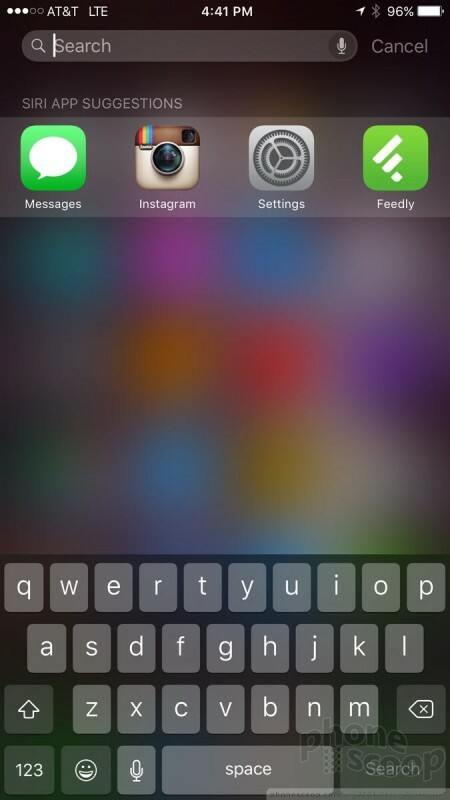 You can dismiss the pop-up by letting go of the screen, or load it fully by swiping down. 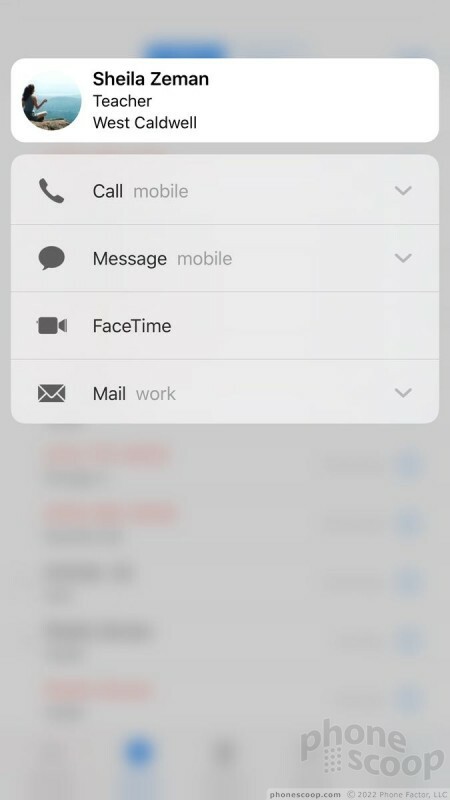 This same pop and peek function is sprinkled throughout the platform, such as in the Photos app (lets you preview images), the email app (lets you preview emails), the contacts app (brings up shortcuts for calling/messaging people), and so on. There isn't an official master list defining which apps support 3D Touch and how, so you have to discover them in a trial-and-error fashion. 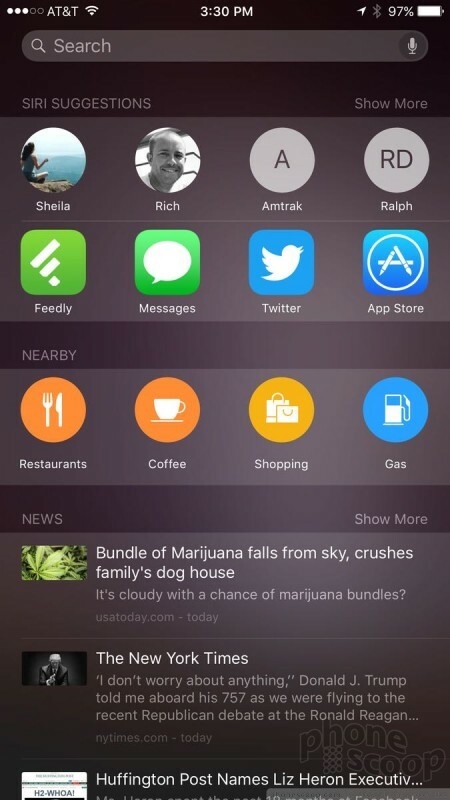 At launch, the number of apps that support 3D Touch on the iPhone 6s Plus are few and far between. Not even half of Apple's own apps can take advantage of the new screen technology, and the availability of third-party apps that can handle 3D Touch is next to none. Still, the potential is absolutely huge. 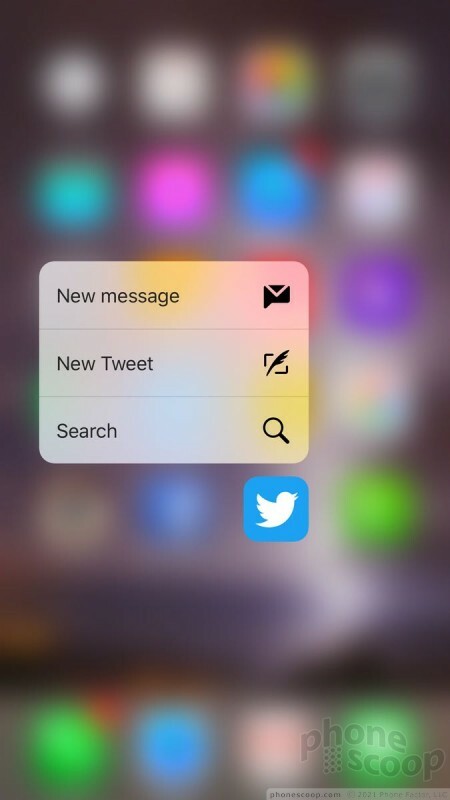 3D Touch will change how you interact with the iPhone. This feature alone makes it worth updating to the 6s Plus. We covered most of Siri's new tricks in our review of iOS 9, but some of them are worth mentioning again here. With the 6s Plus, the iPhone no longer needs to be plugged in to use the "Hey, Siri" trick. 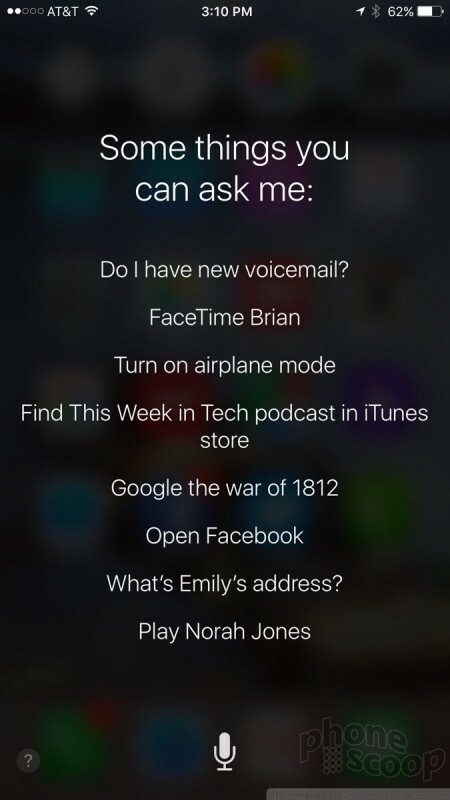 Want to ask Siri a question, but don't feel like reaching over to pick up your phone? Just say "Hey, Siri" and Siri will launch even when the phone is unplugged. 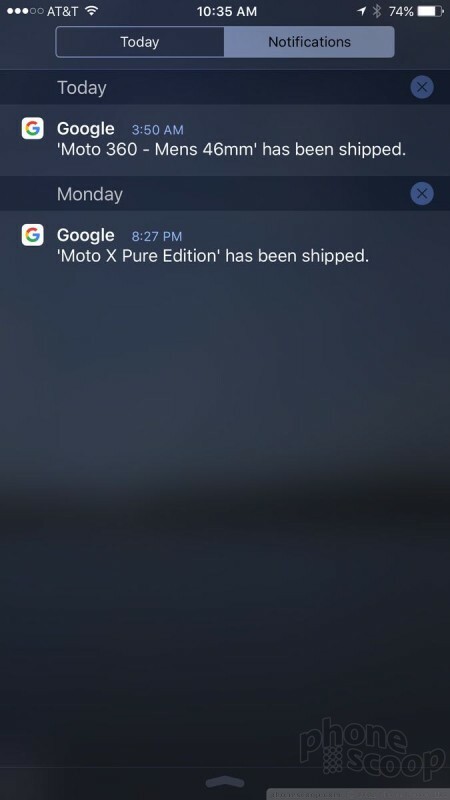 To be fair, Google Now has supported this for some time (especially on Motorola devices). 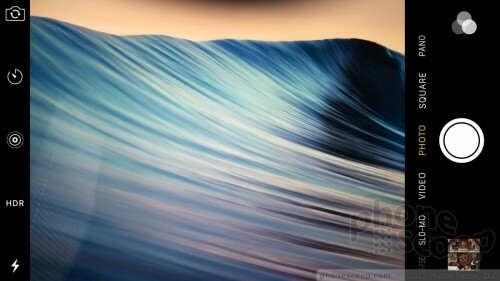 Even so, having Siri available at your beck-and-call without first grabbing your phone feels liberating. Need to set a calendar appointment? "Hey, Siri…"
Want to listen to some music? 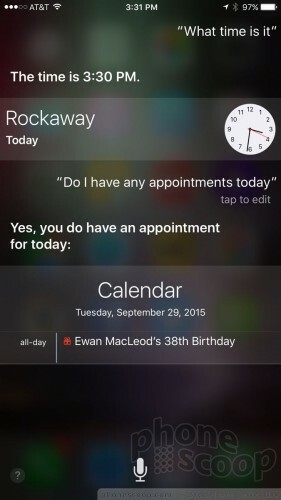 "Hey, Siri…"
The best part? Siri is able to hear even in moderately noisy spaces. 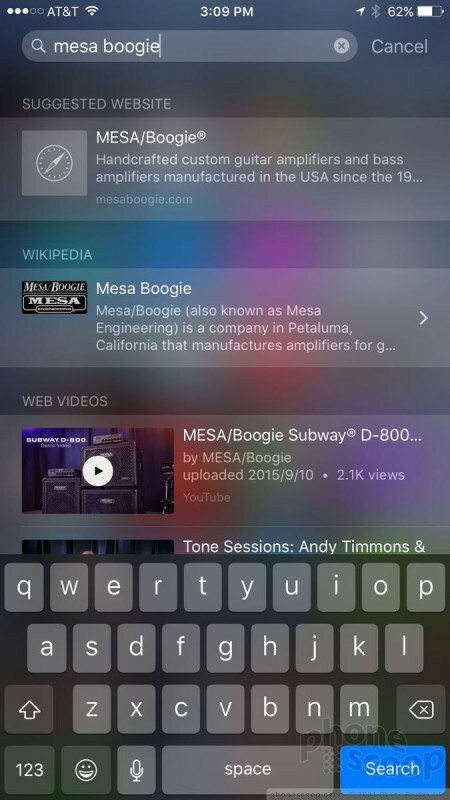 For example, I was listening to some music and even though the iPhone 6s Plus was sitting about a foot from the speakers, Siri had no problem hearing and processing my request. None of this would matter much if Siri weren't also much better at understanding natural language interactions. What's more, Siri is able to interact with a much broader range of apps on the phone. Added together, Siri's new responsiveness and accuracy make for a much improved experience across the board. It almost feels like we've reached the voice-controlled future. Almost. 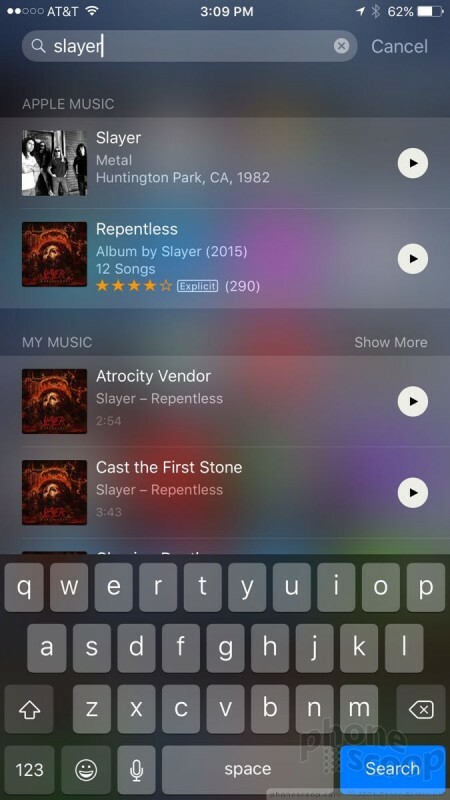 The other half of Siri's improvements found in iOS 9 (though not specific to the iPhone 6s Plus) is the refreshed search function. 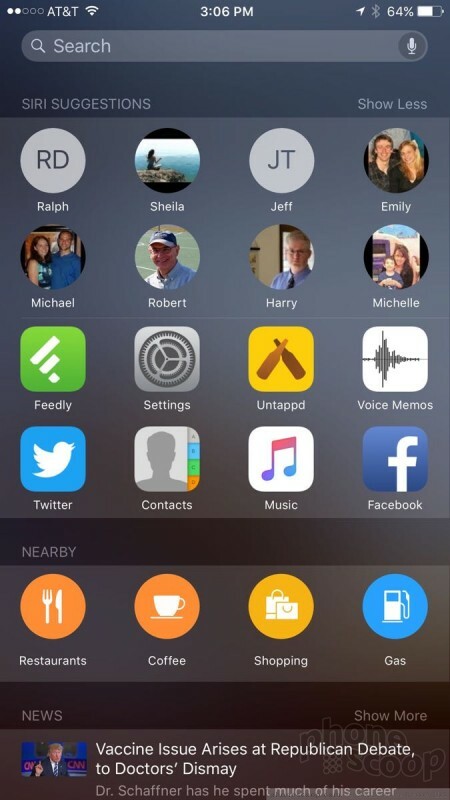 Swipe the home screen over and you'll see a new set of search tools, including suggested contacts, suggested apps, nearby searches, and some news headlines. The idea is to make it quicker to perform certain types of searches and find specific things. In that respect, the changes are mostly good. 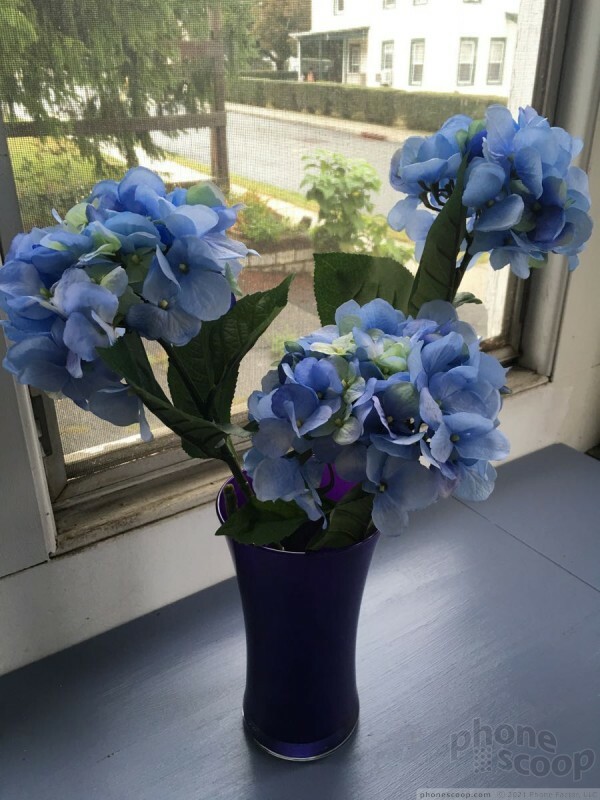 The camera application itself is largely carried over from that of iOS 7 and iOS 8. You can launch the camera from the lock screen if you wish, or from the home screen panels. 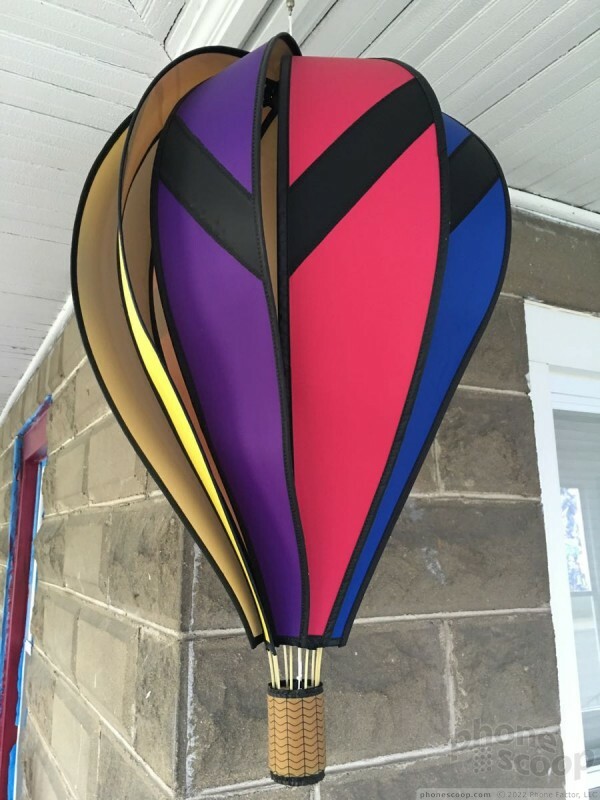 Either way, it opens in a blink. 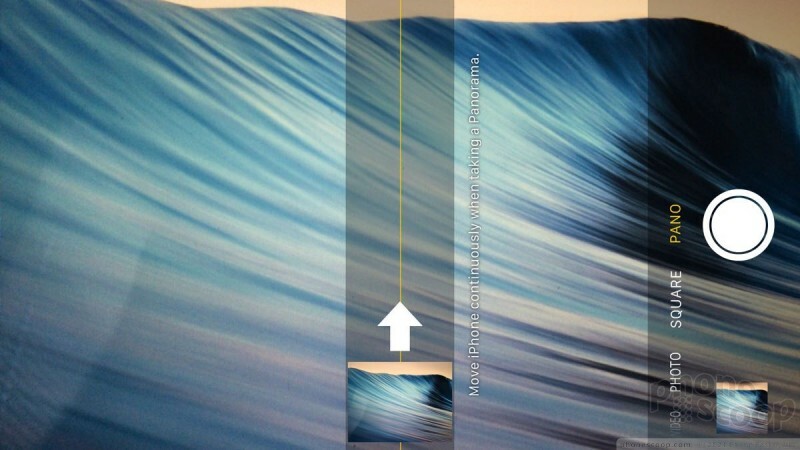 The iPhone camera app offers a handful of basic shooting modes: normal, panorama, and square for pictures, plus normal, slo-mo, and timelapse for video. 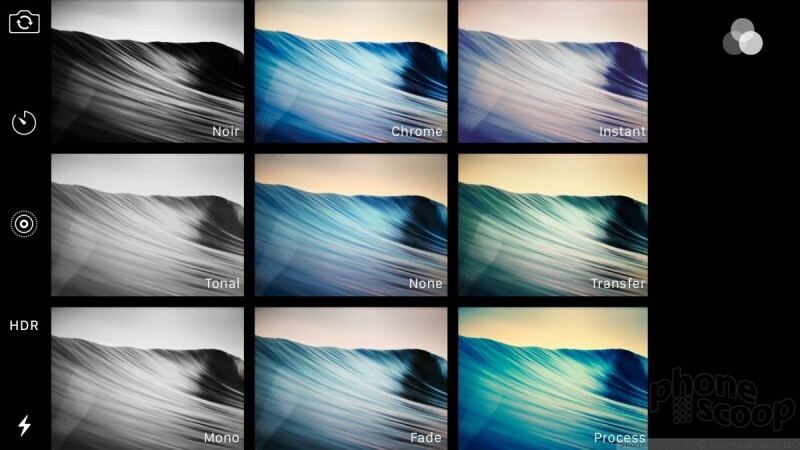 All six of these are accessed by swiping the viewfinder from one to the next. Several controls are positioned on the edge of the screen. 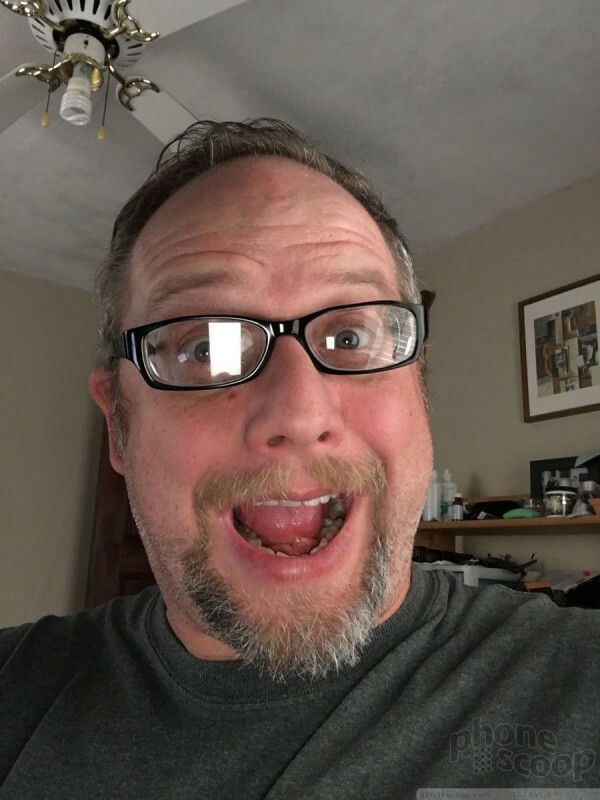 They let you switch to the user-facing camera, toggle HDR and the flash through on/off/auto, as well as set a timer. 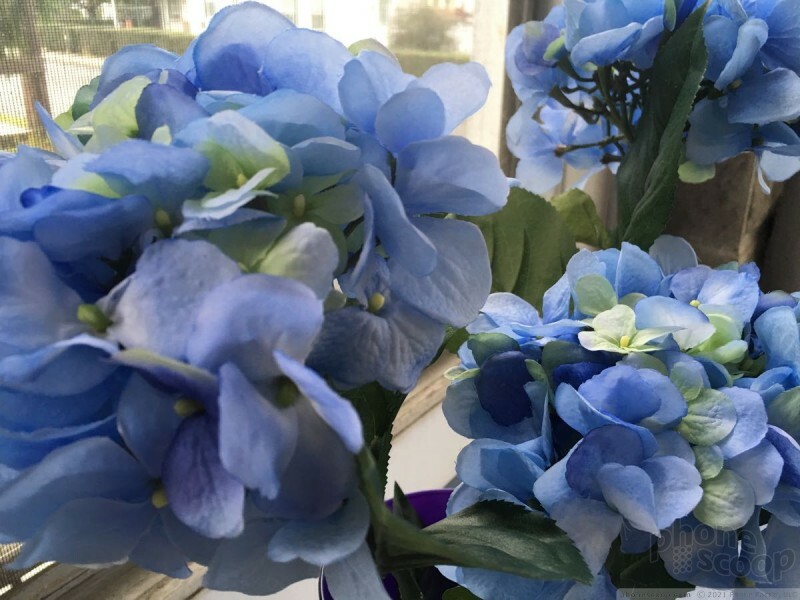 The only real new feature added to the camera on the 6s Plus is Live Photos. 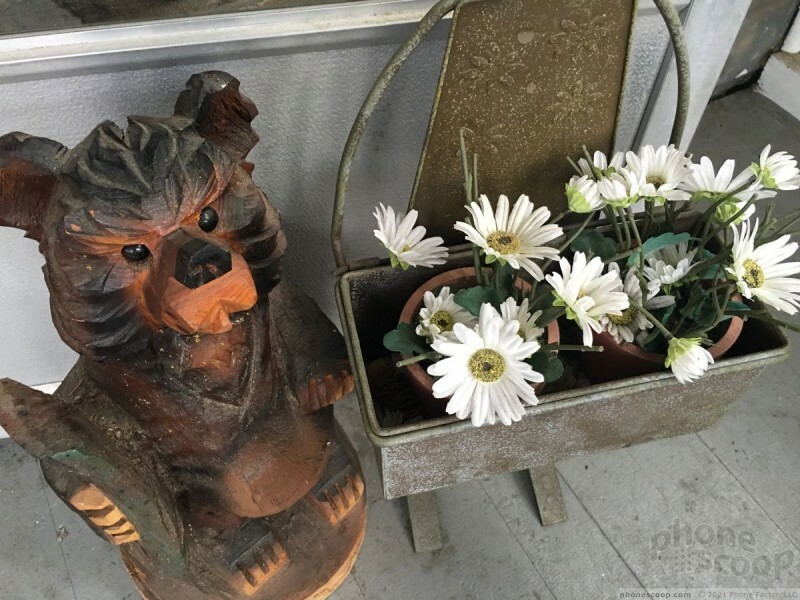 Live Photos is new to the iPhone, but not new to smartphones in general. HTC gave us a similar feature in the Zoe with its One smartphone back in 2013. The idea is to capture a short video clip along with each still picture. 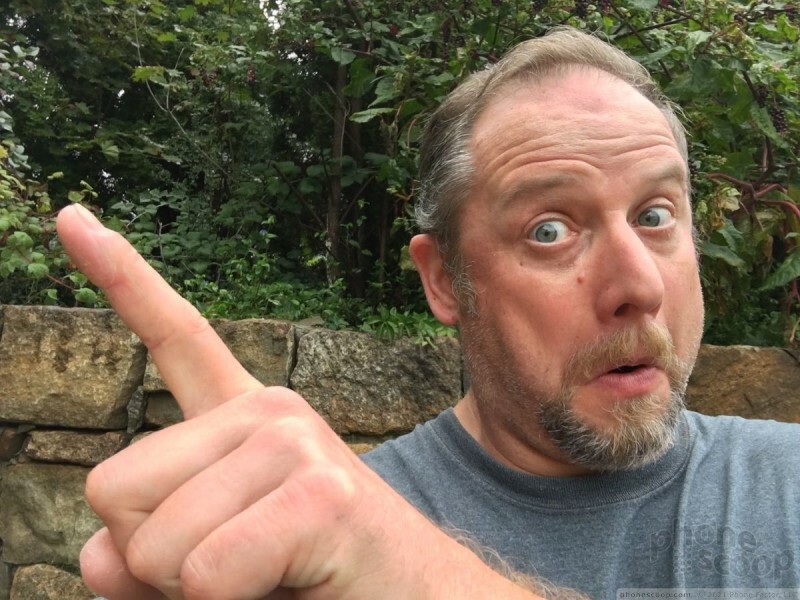 When Live Photos is turned on, the iPhone automatically captures 1.5 seconds of video before and after you actually press the shutter button. The result is a combined still image / video clip that includes motion and sound. 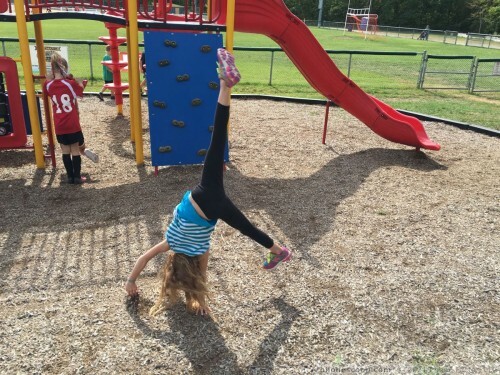 For example, I took a picture of my daughter doing a cartwheel. The image is a still of her in the middle of the cartwheel, but the Live Photo shows the entire cartwheel from start to finish. The end result is about the same as what the HTC Zoe offers, but Apple's execution is much better. 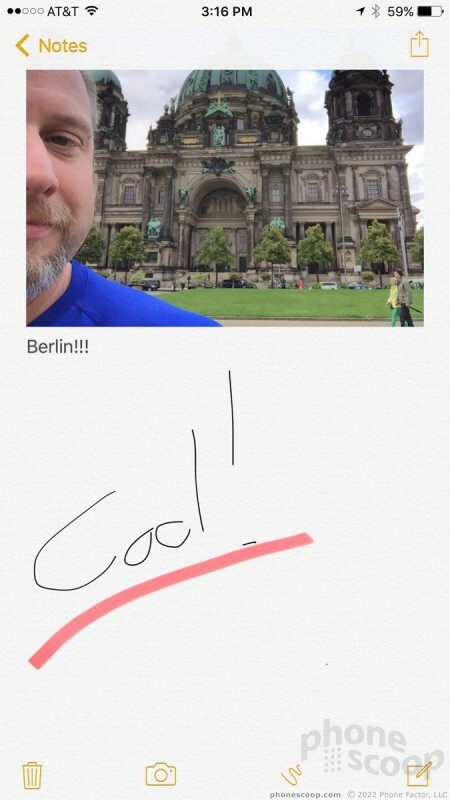 Live Photos work flawlessly and are easy to spot in your photo gallery and view. In fact, Live Photos can be viewed on any Apple device, which means sharing them is easier than it ever was to share Zoes. The other big trick added to the iPhone 6s Plus's bag of surprises is the Retina Flash. The user-facing camera doesn't have an LED bulb; instead, the phone will blink the screen for a second when taking selfies. How does Retina Flash work? It's doing a lot more than just flashing the display. According to Apple, Retina Flash will fire off a preflash to detect the lighting around you and adjust the tone of the flash match the ambient light. Moreover, a custom chip blasts the display at a brightness that is three times as high as the screen can typically go. The effect is surprisingly good. I was impressed with the quality of illumination and the accuracy of skin tones in the resulting images. I may just start taking more selfies. 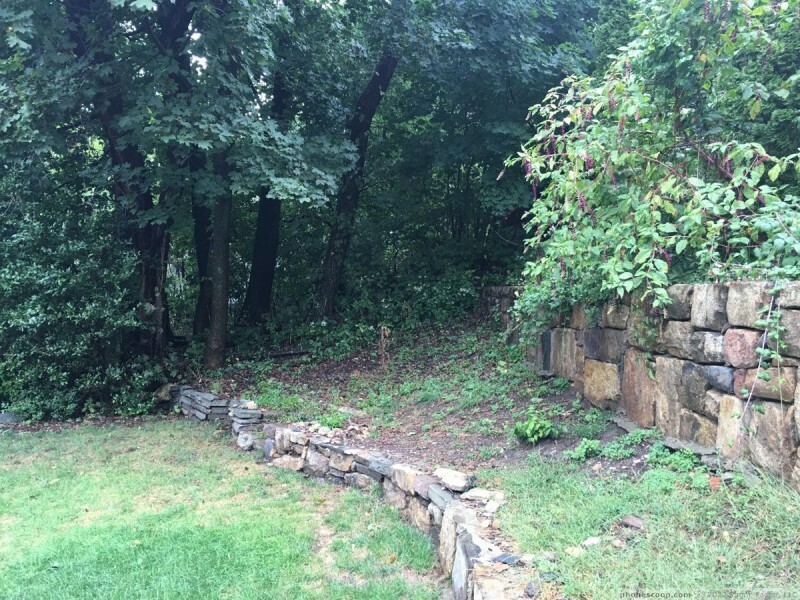 The iPhone's camera has always been dead simple to use, and that's not changed on the iPhone 6s Plus. It may not be the most advanced, nor offer the most features, but the tools it does include function perfectly. Apple really stepped up the camera this year. For the first time since 2011, Apple improved the pixel count from 8 megapixels to 12 megapixels. Apple says the iPhone 6s Plus has a new sensor, a new image signal processor, and Focus Pixels to help improve image stabilization and tone. What does all this technical mumbo-jumbo mean? The iPhone 6s Plus takes damned impressive pictures. 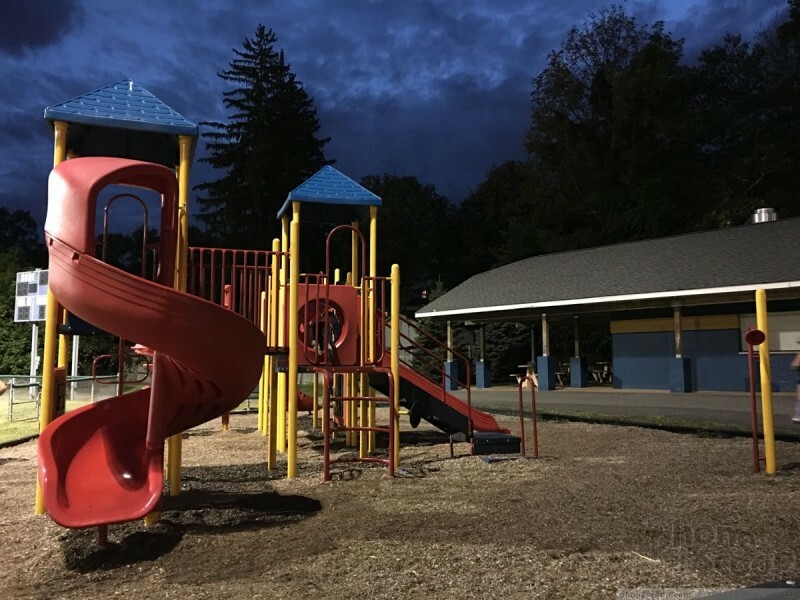 I was most impressed by the 6s Plus's ability to handle challenging scenes, like my daughter's night-time soccer practice. 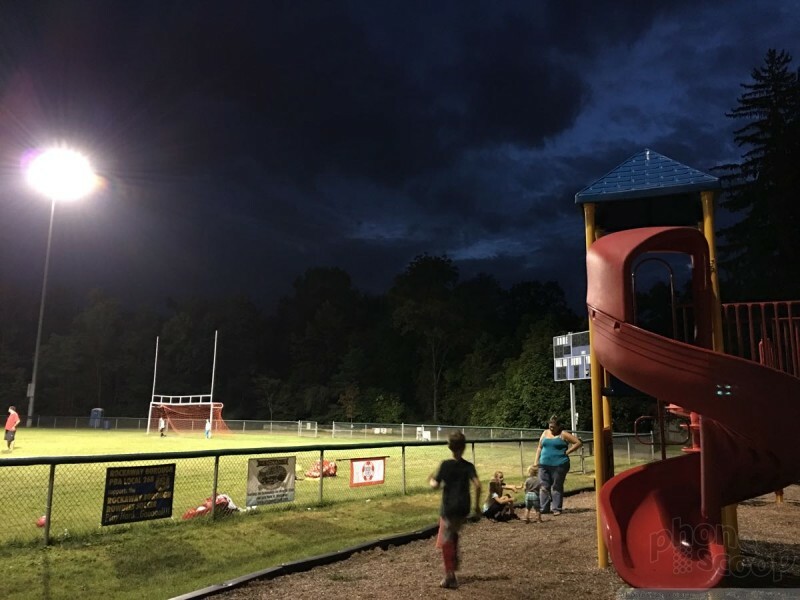 The bright lights illuminating the field could easily have wreaked havoc on the exposure thanks to insane amounts of contrast, but the 6s Plus managed to balance out the highs and lows perfectly. 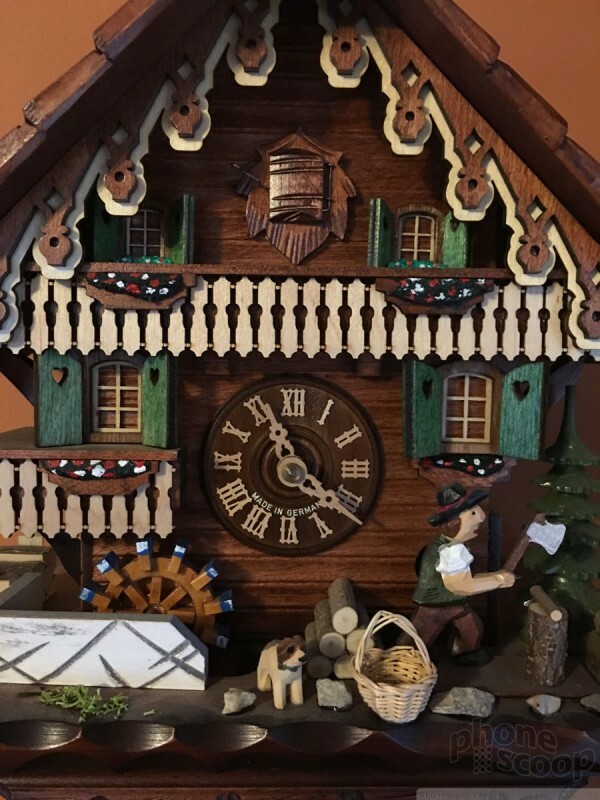 It also does well in low-light conditions, such as the shot of my cuckoo clock, which was taken in a dark room. Are the images sharp? You betcha. Are they colorful? Yup. Are they pleasing to look at? Indeed. How does it fare against the competition? I'd call the Note 5 and iPhone 6s Plus close to even, though Apple's smartphone has a slight edge. The Note 5 captures more pixels, but in the 16:9 aspect ratio. The iPhone shoots in the 4:3 aspect ratio. If you crop the Note 5 down to 4:3, it captures about the same number of pixels the iPhone does. Comparing these images, I thought the 6s Plus came out ahead, especially with respect to exposure — but again, only by a hair. The selfie camera got a huge upgrade, jumping from 1.2 megapixels to 5 megapixels. Between the improved sensor and the Retina Flash, the 6s Plus is the best selfie machine you can ask for. The 6s Plus produces dramatically better selfies than the iPhone 6 or 6 Plus. The iPhone 6s Plus also offers more video-capturing options than any previous iPhone. It can record at 720p, 1080p at 30fps or 60fps, and now 4K at 30fps. The default is 1080p at 30fps. No matter which option you choose, the results look great. The iPhone 6s Plus produces excellent video. I was very pleased with the results. A few words about 4K. First, don't bother if you don't have a 4K TV or monitor at home. Second, it uses an insane amount of storage. For example, 1 minute of 1080p video consumes about 130MB of space. One minute of 4K video eats up nearly three times as much: 375MB. If you buy the 16GB model, a mere 30 minutes of 4K video will chew through all the storage space on the phone, and that's assuming you have no downloaded apps, no music, and no photos. The 1080p is more than adequate. The iPhone 6s Plus has more junk apps from Apple than any previous iPhone. Apps you can't delete include iBooks, Compass, Find Friends, Game Center, Health, Mail, News, Notes, Podcasts, Reminders, Stocks, Tips, Voice Memos, Watch, and Weather. Apple CEO Tim Cook said Apple may allow users to delete some of these apps eventually, but don't expect that day to arrive any time soon. Many of these apps stink or will never be used by most people, but Apple improved several of them. 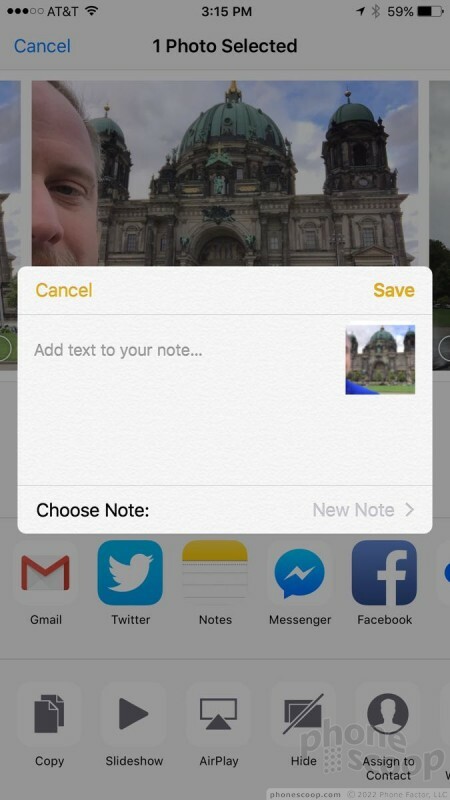 Most importantly, the Notes app has been given a new lease on life thanks to expanded capabilities. It supports scribbling, photos, links/web sites, and cross-device syncing. It doesn't compete with OneNote or Evernote, but it is much improved. 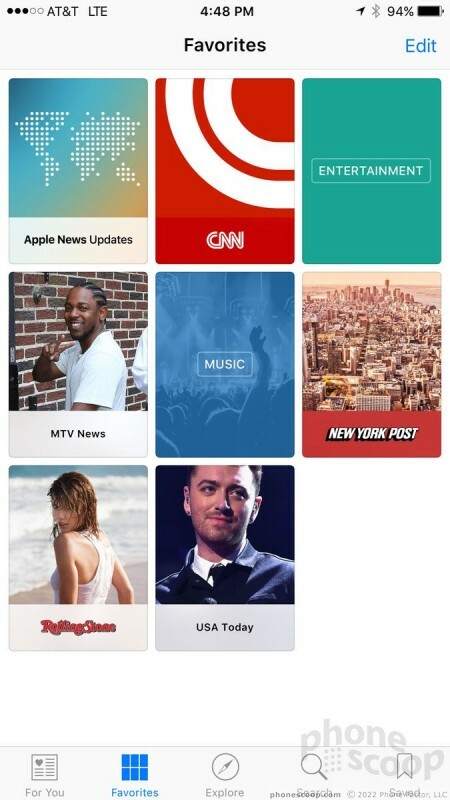 Apple News is the newest bit of bloat to land on iPhones. 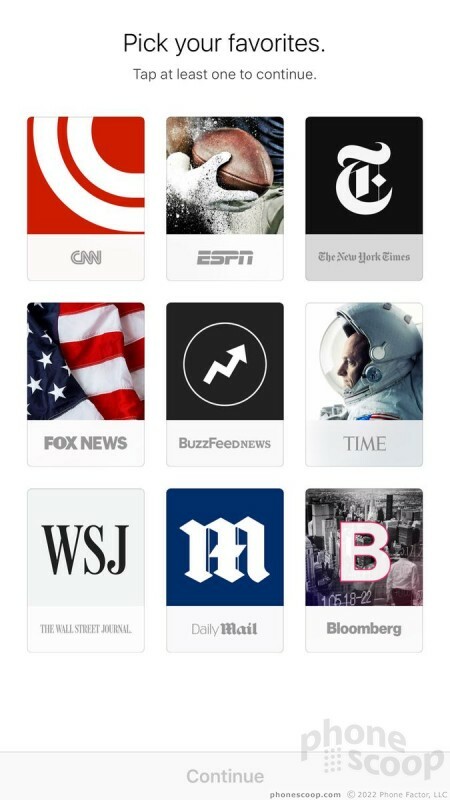 It is best used to collect articles from your favorite news sources for later reading. 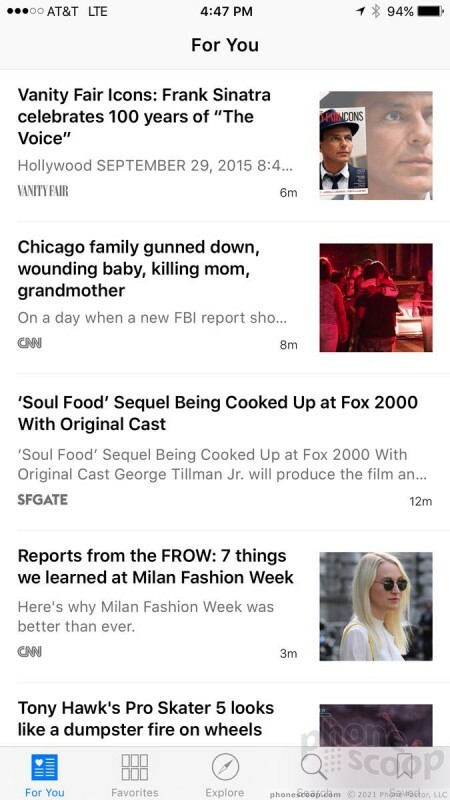 Apple News offers a reasonably good selection of topics and publications, and makes reading them in one place a breeze. Flipboard does the same thing in a much more attractive and pleasing way. It's important to note that the 6s Plus comes in 16GB, 64GB, and 128GB models. The 16GB model is practically useless thanks to its limited storage space. Skip it and spend the extra $100 (groan) for the 64GB model.